Until now, several of the talks presented at SkeptiCamp Winnipeg 2013 have been missing from our SkeptiCamp archives. This omission has now been remedied. 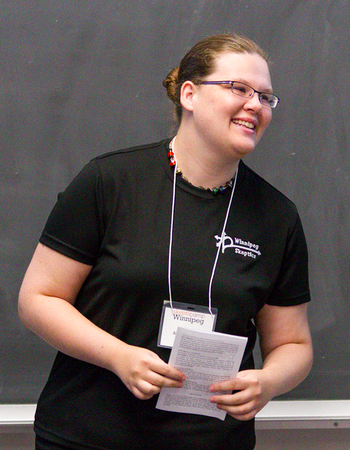 Embedded below is Ashlyn Noble’s talk from SkeptiCamp Winnipeg 2013. In addition to heading up the Winnipeg Skeptics and a host of other volunteering responsibilities, in 2013 Ashlyn Noble was interning with the Foundation Beyond Belief. In her spare time, she sings with the Rainbow Harmony Project and spends too much time on the internet. SkeptiCamp Winnipeg is a conference for the sharing of ideas. It is free and open to the public: anyone can attend and participate! Presentations and discussions focus on science and free inquiry, and the audience is encouraged to challenge presenters to defend their ideas. You can visit our SkeptiCamp page for information about upcoming events and links to past SkeptiCamp talks. SkeptiCamp Winnipeg: WiFi and Cell Phones: Should You Really Be Worried?